The Game Creators. Here you can have fun making your own computer games. There easy to use game making tools do all the complex scientific stuff, leaving you to create, play and share. Sequoia Games. 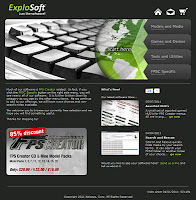 "THE BEST FPS CREATOR TOOL FOR INSTANTLY MAKING THE GAME OF YOUR DREAMS"
ExplSoft. 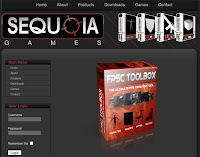 Much of the software here is FPS Creator related, some of the best tools for use with FPS Creator engine. Want your link here then just contact us, it's free! !